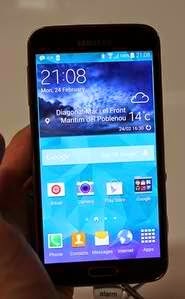 Samsung latest Galaxy S5 smartphone is indeed packed with various smart features and functionalities. A matter of this fact, owners of the GS5 will be able to set up their device to send and receive email messages straight from their email accounts. The first requisite to get this job done is to simply set up the phone for Internet. Step 1. Look for the Email option. For you to get there, touch Apps menu and the touch Email to proceed. Step 2. Enter your email address. Touch Email address then type your complete email address. 2.1. Touch the Menu icon. 2.4. Touch the Add Account icon. 2.5. Touch Email Address and enter your complete email address on the text box. Step 3. Key in your password. Be sure to type the correct password assigned to your email account so as to avoid further issues. Touch Next to continue to step 4. If you are prompted with the message saying, "your email account has been set up, simply follow the instructions shown on the screen to select more settings and complete the setup process. Step 4. Choose server type. Press on POP3 account. Step 5. Type the username for your account. To do so, touch the field below "Username" and type the username for your email account. Step 6. Enter Incoming server data. Just touch the field below "POP3 server" and type the name of your email provider's incoming server. Step 7. Disable Encryption of incoming email messages. To do this, you will need to touch on the drop down list below Security type and then touch the None button to continue. Step 8. Key in Incoming Port data. Just touch the field below Port and type in 110. Step 9. Enable/turn on the option that says "deletion email messages on server on or off." Step 10. Key in Outgoing Server data. Simply touch on the field below "SMTP server" then type in mail.vodafone.ie. Step 11. Disable or turn off the option that says, "Encryption of outgoing email messages." To do this, touch the drop down list below "Security type" then touch None. Step 12. Type in the Outgoing Port. Simply touch the field below "Port" then type in 25. Step 13. Disable or turn off SMTP authentication. Just touch the Require Sign-In option and wait until the prompt tells you that the function is already turned off or disabled. Touch Next to proceed. Step 14. Choose the settings for retrieval of new email messages. To get there, simply touch the drop down list below "Sync Schedule" then touch Manual or the required period option. Continue by touching the drop down list below "Peak schedule" and then touch Manual or the required period (depending on your preference). Step 15. Enable/disable or turn on/off Email message synchronization. To turn this function on/off, simply touch Sync Email option. Step 16. Enable/disable or turn on/off Email message notification. To turn this function on/off, simply touch Notify me when email arrives option and then touch Next to continue. Step 17. Key in your email account name. Just touch the field below "Give this account a name (Optional)" and then type in the required name. Step 18. Key in a sender name. Simply touch the field below "Your name (Displayed on outgoing messages)" then type in the required sender name. Step 19. Complete or finish email setup. To do so, just touch Done and then wait until the phone retrieves or fetches new email messages from your email account inbox. Step 20. Go back to the screen Home. To do so, simply press the Home button beneath the phone display. Congratulations! You just set up your Galaxy S5 handset for email with Vodafone POP3/SMTP server settings.